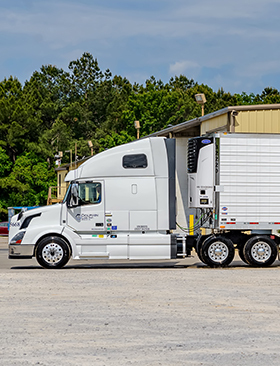 With extensive capacity options, fast response times and tracking capabilities, Dolphin Lines is full truckload business you can rely on. 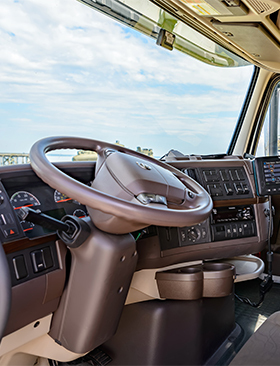 With Dolphin Lines dedicated contract solutions, you get world-class resources to fulfill your transportation demands. We are dedicated to providing on-time delivery in a professional manner while maintaining good communication with every customer. We are a leading carrier in the southeast region with a solid freight base. This allows our drivers the luxury of top notch home time. 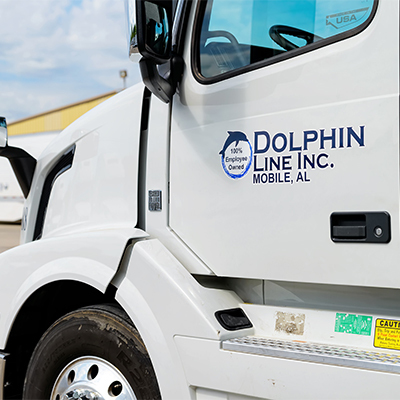 Located in Mobile, AL Dolphin, Line is proud to serve all lower 48 States within the United States. However, the majority of our freight base lies within the Southeastern portion of the United States, Texas, and the Carolinas. 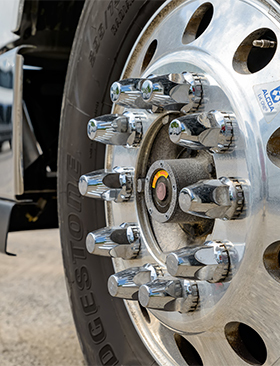 At Dolphin Line, we take pleasure and pride in having an outstanding reputation in the trucking industry, primarily in the truckload and climate controlled sector of the industry. A good image is earned by putting the needs of the customer first, with economical, safe, and on-time deliveries. By maintaining the traditional values of quality service, we have achieved the success that has allowed us to move forward to meet our customers' constantly changing needs.